Based in Toronto, Canada, RAGGEDY ANGRY plays a fusion of sounds ranging from synth-pop, alternative rock, punk and metal all packaged into one slickly produced package. The band started in 2006 as Irvin Scabtree and Pressit at the age of only 17 released a 12 song debut record entitled Take Me, Break Me, Make Me Pretty. The album set the tone for things to come with a monstrous electro-rock sound featuring Pressits chunky guitar riffs complemented by Scabtrees propensity for electronic hooks. 2008 saw the band fill out with drummer The Pull-Out Method, lead guitarist Uncle Daddy, and bassist C-Man being added to the fold. The newly minted quintets sound took on a more aggressive feel while maintaining a nerd-pop electronic resonance. The new outfit caught the interest of famed producer Dave Ogilvie (NIN, Marilyn Manson, Skinny Puppy) who was a perfect match for the band. After two long months in the studio, Raggedy Angry completed their highly anticipated second record Pestilence. Following the release of the album the boys caught the attention of fellow Toronto based band; The Birthday Massacre; and were asked to support them on their European tour in the Spring of 2009. The tour hit up all the major markets and provided the band with a strong foothold with fans and critics alike across the Atlantic. Again in early 2010 the band was asked out on tour this time a national tour supporting Die Mannequin taking them across Canada. 2010 demanded a strong follow up and the group rose to the occasion again pairing up with Dave Ogilvie this time to put more of a synth-rock sheen on the record entitled How I Learned To Love Our Robot Overlords on Synthetic Sounds. With a European release following in October 2010 via Danse Macabre Records the band also again was asked to tour with The Birthday Massacre in Europe again. 2011 saw the band take a break and pair down to just the core of the band Irvin Scabtree, Paul Roussel (ex- The Pull-Out Method) and Brendan Bell (ex- Uncle Daddy) to begin working on new material. 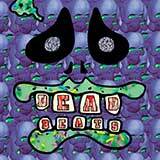 That new material was recorded in 2012 with a record entitled Dead Beats the end result which saw the band pair up with renowned Alternative record label Metropolis Records for worldwide release.